Now available! The follow-up to the successful Maths Tracker program. 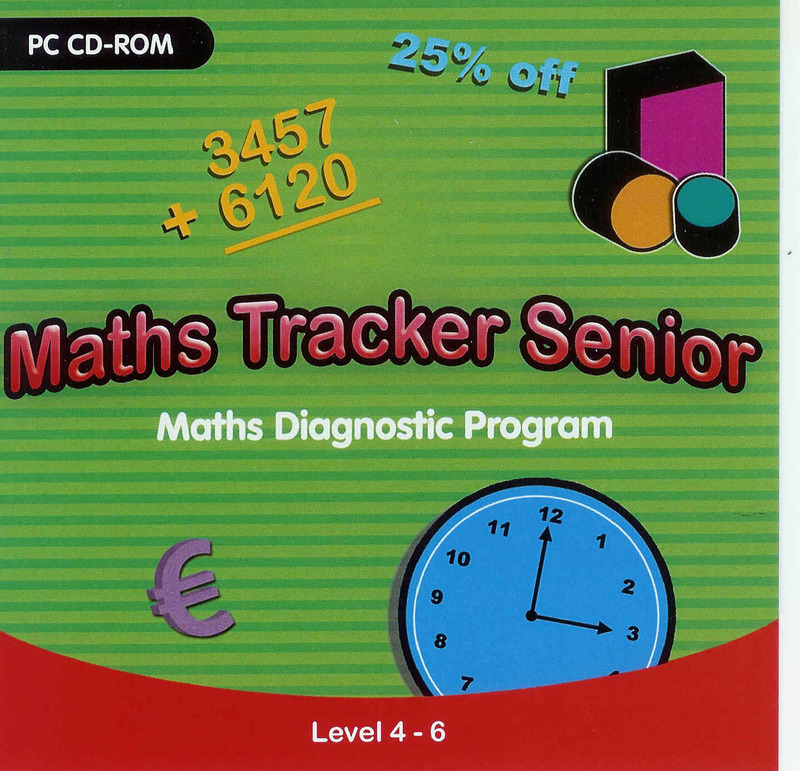 Maths Tracker Senior is a computer-based Maths Diagnostic program based on the 4th, 5th and 6th class revised Irish Mathematics curriculum. Although based on the Primary Maths curriculum, this program can also be used at secondary level for foundation maths and for adult numeracy programmes. Each level consists of three tests, with each test containing fifty multiple choice type questions. On completion of each test, a report is generated highlighting the strengths and weaknesses of a particular pupil across the various strand units of the Mathematics curriculum. New features include an in-built calculator on selected questions and the facility to save results. These results can easily be combined to build a more detailed Pupil Profile. For a more indepth look, please click on the cover picture to the left. Donal Horgan, 6 Sheldon, St. Patrick's Hill, Cork. 2. Email your order giving name and full postal address of school to which CD ROM and invoice will be sent.